This piece of Agate was once hollow and filled over time. 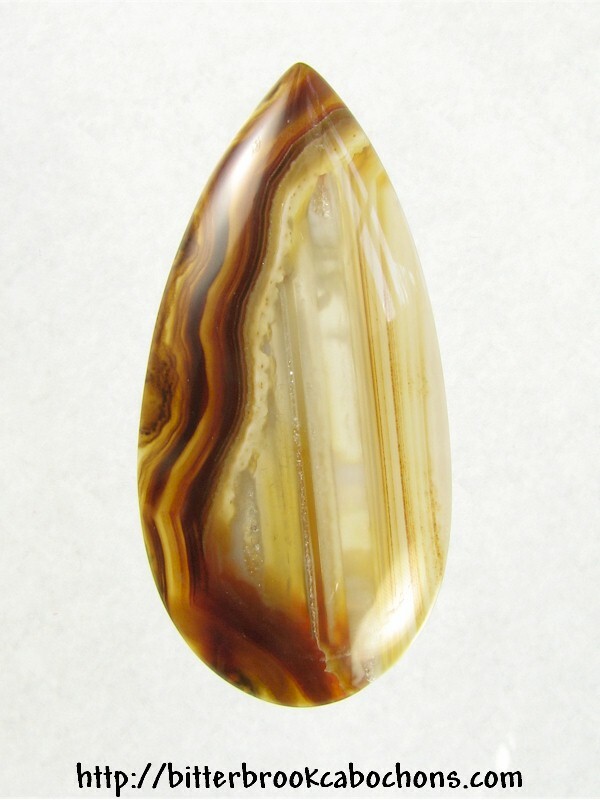 I tipped it on its "side" and gave it a freeform teardrop shape that takes in the outer bands of brown agate as well. Pretty! Dimensions: 46.5mm x 22.5mm x 5.5mm. Weight: 40.00 carats.